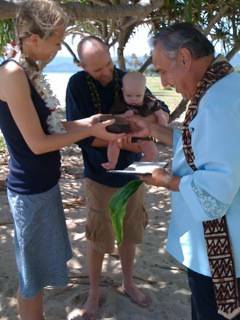 Itʻs customary in Hawaii to ask for blessings for special people and events. 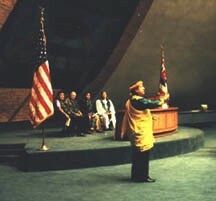 Kahu Silva has performed traditional Hawaiian blessing ceremonies, prayer chants and cultural presentations for decades. 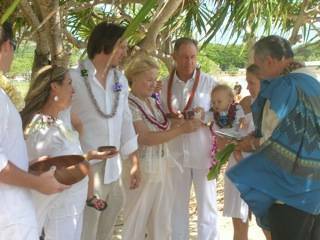 These ceremonies are often performed for beginnings – the start of a new life (baby blessings), beginning a new life together (wedding blessings), building a new home, and grand opening of a new business. Prayers, invocations and blessings are offered for all occasions. 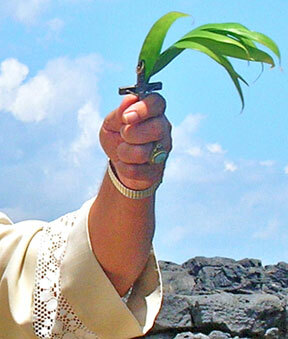 The prayer ministry honors the universality of Ke Akua, God, the Creator. The rites and ceremonies celebrate the spiritual communion of man, nature and with the universe and are a spiritual blending of elements that are shared in commonality between the traditional Hawaiian religion, rituals and ancient customs with Christian principles and other universally held beliefs that all paths come from and lead to one supreme source and creator.